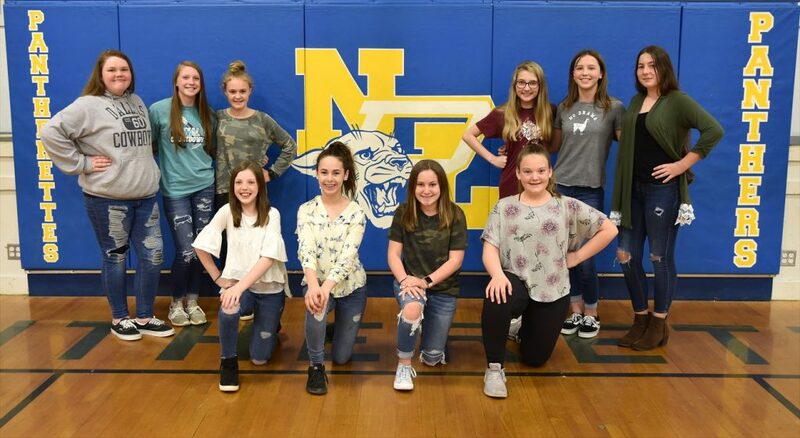 The eighth-grade cheer squad beginning front row left are Madalyn Fuller, Olivia Tellez, Ava Woodard, and Camdyn Davis. Standing are Emma Wilkins, Madison Wiley, Claudia Romans, Avery Scott, Raynie Lewis, and Katelynn Wood. Sponsor is Shelia Slider. The seventh-grade squad beginning front row left are Kyleigh Fields, Hyleigh Wicks, Nadia Bowman, and Reily Rusak. 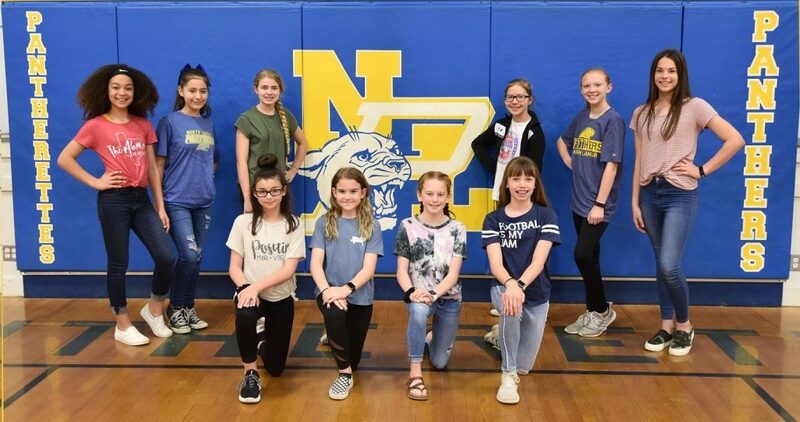 Standing are Natalie Washington, Lilliana Oviedo, Katherine Fendley, Laney Kolden, Ava Exum, and Rian Hilliard. Sponsor is Julie Romans.